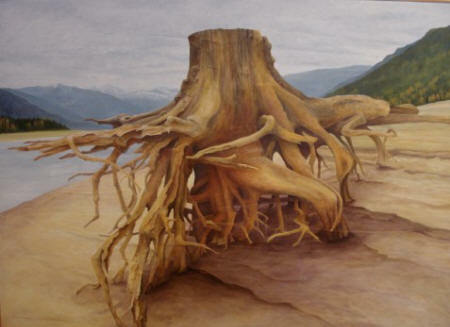 A graduate of the Emily Carr Institute of Art and Design Betty is a painter that likes working on texture. Many of her works are done on plastered board. This surface takes acrylic paint well and it can also be carved into easily. The images Betty paints are from the area she lives in or from places she’s visited.Visits to the Betty L Fahlman Studio in Nakusp can be arranged through email or a phone call.